Sleep is a unique and amazing part of life. It brings healing and restoration. If you’re not sleeping well, it’s a sure sign that something is out of alignment in one or more of the Eight Essentials. Think of it this way: sleep disturbances are like flashing signals on the dashboard of life, indicating that something’s out of balance. The good news is that the causes of bad sleep are not hard to identify or fix. 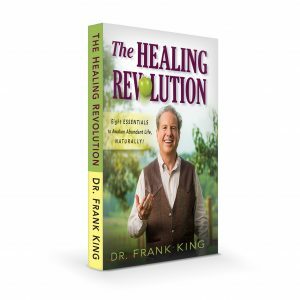 The Healing Revolution® shows you how. Revitalizing, repairing, restoring, and rejuvenating sleep is yours for the taking. If you’re having trouble getting a full night’s rest, here are some tips. Avoid overeating, especially near bedtime. Heavy meals before bed can disrupt sleep. Avoid stimulants like caffeine and nicotine. Stay away from screens in the hours before bed. Leave your phone or tablet outside the bedroom. Don’t take sleeping pills. They cause many unwanted side effects, ranging from unpleasant to life-threatening. Consider homeopathic formulas or calming herbal remedies instead. Getting plenty of rest is an essential part of healthy living. What changes can you make to sleep better tonight?